“Born a Crime” by Trevor Noah is one of Bill Gates’ recommendations for this summer’s reading. Audible, the Amazon-owned provider of audiobooks, has released the rankings of the most popular audiobooks of 2016. They include memoirs by Trevor Noah and Phil Knight, Charlotte Bronte’s “Jane Eyre” and a lot of fantasy. 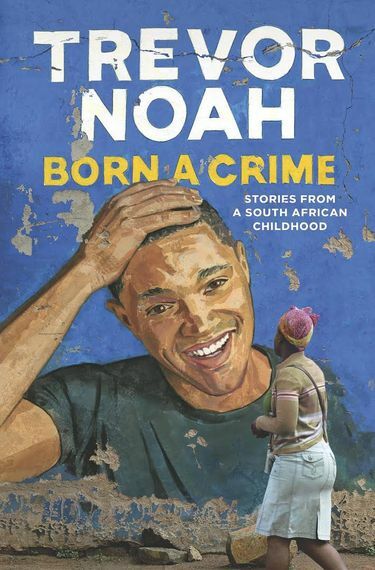 “Born a Crime: Stories from a South African Childhood” by Daily Show host Trevor Noah, narrated by the author. “The Magnolia Story” by Chip Gaines and Joanna Gaines, narrated by the authors. The husband-and-wife stars of HGTV’s Fixer Upper, tell their stories. “Reign of Madness: King’s Dark Tidings, Book 2” by Kel Kade, narrated by Nick Podehl. Fantasy about a warrior’s travails. “Shoe Dog” by Phil Knight, narrated by Norbert Leo Butz and the author. The Nike founder’s memoir. “Adnan’s Story: The Search for Truth and Justice After Serial” by Rabia Chaudry, narrated by the author.The further story of the subject of the Peabody-Award winning broadcast. “A Court of Mist and Fury” by Sarah J. Maas, narrated by Jennifer Ikeda. Second book in the “A Court of Throne and Roses” fantasy series. “Digging Up Mother: A Love Story” by Doug Stanhope, narrated by the author. A comedian’s tribute to the unlikely source of his inspiration – his mother. “Jayne Eyre” by Charlotte Bronte, narrated by Thandie Newton. The story of an orphaned girl tormented by the family that takes her in. “AskGaryVee:One Entrepreneur’s Take on Leadership, Social Media, and Self-Awareness” by Gary Vaynerchuk, narrated by the author, Jack Welch, and Dave Ramsey. Advice from the marketing and business expert.